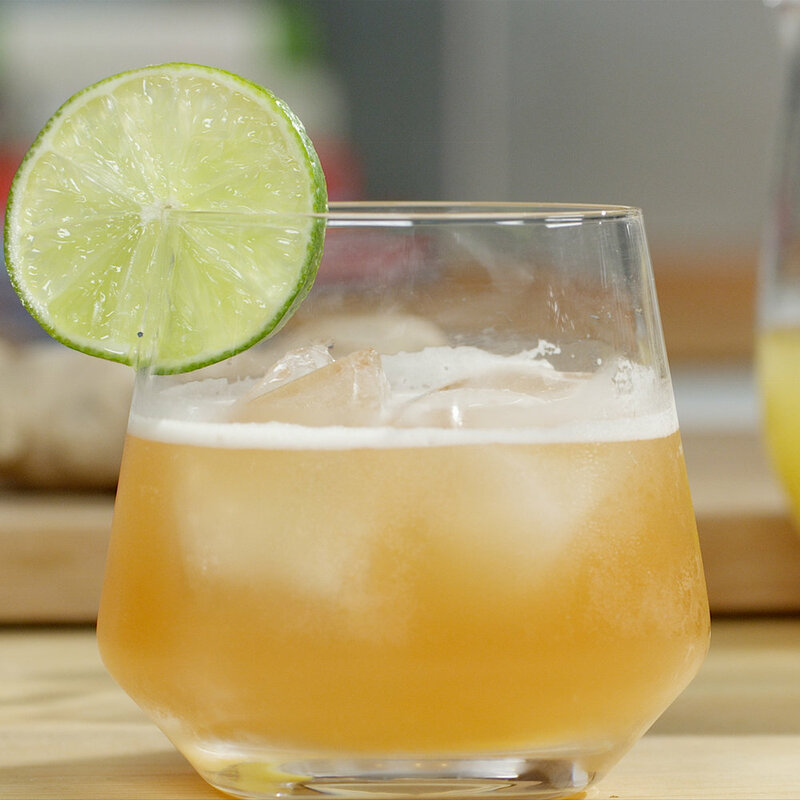 So this is a refreshing lightly tropical rum cocktail that reminds us of the beach... There is a restaurant chain in the U.S. that has a cocktail of the same name on it's menu - but it's a distant 5th place to the original we have here. This cocktail uses simple syrup - check out our method to make simple syrup here. In a shaker muddle the ginger. Add the remaining ingredients and fill the shaker with ice. Shake, shake, shake, and then strain into a rocks glass filled with ice. Garnish with a lime wheel, and serve.